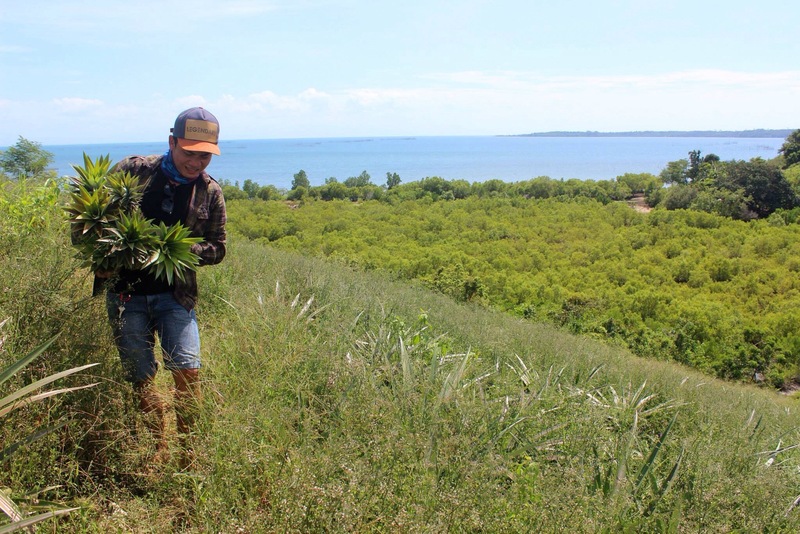 Went to a 56-hectare islet farm in Nueva Valencia, Guimaras owned by the Novilla family. 20minute boat ride versus 40-minute walk across the hill. Of course, we chose the baroto. 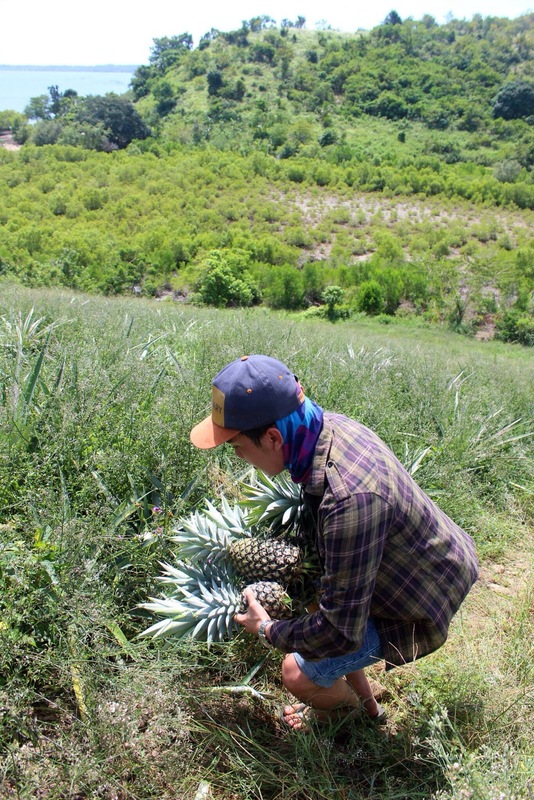 It’s my first time to pick fresh pineapples. 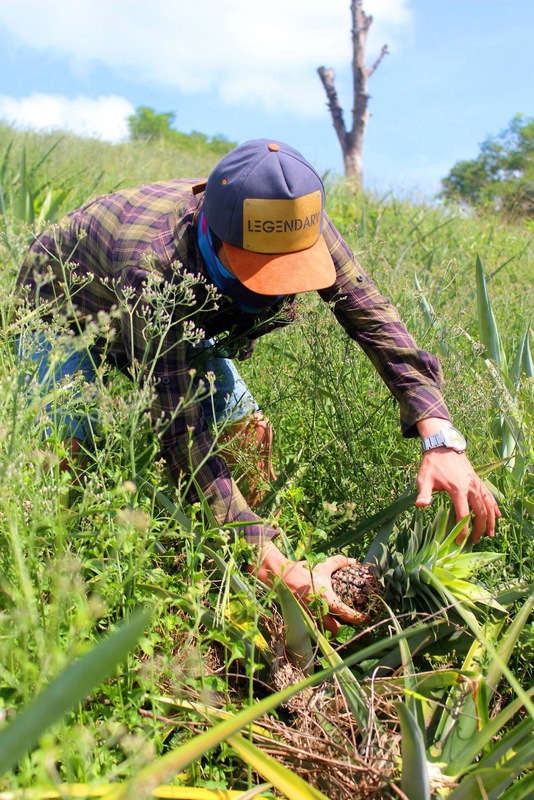 Didn’t imagine they were planted that steeply though. Should’ve worn my trousers. 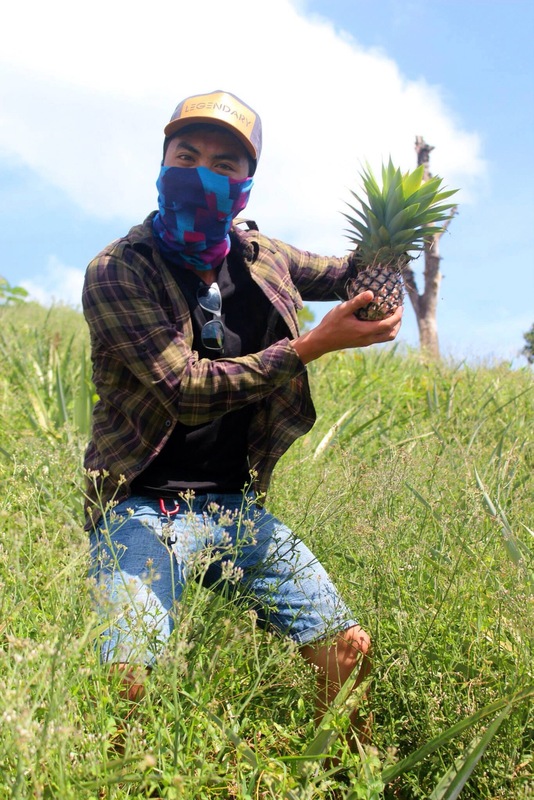 Para farmer kung farmer. Had a hard time reaping because they were planted inches away from each other and the clean up was done in the nick of time so the weeds overpowered the crops. Char. Overpower. OA. Them eyes show the excitement I had. I don’t know but the feeling was priceless. Ayan. OA ulit. 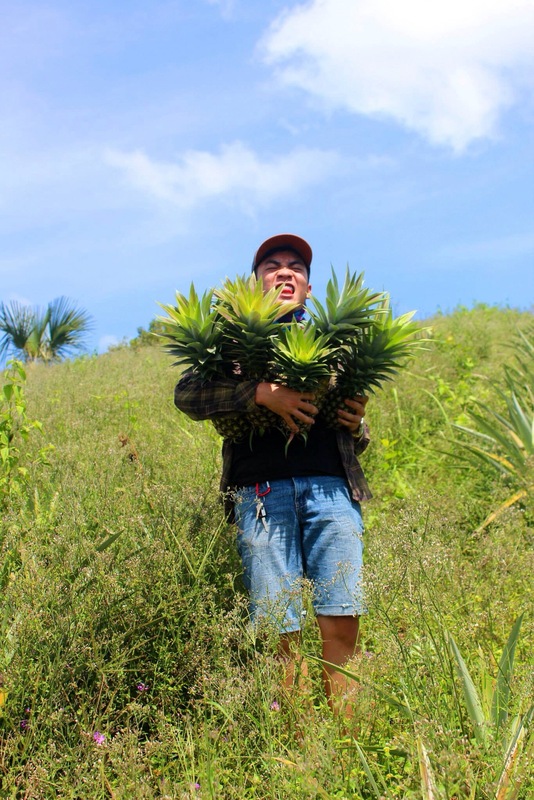 With the sick heat, I managed to deliver these pineapples down the hill, leaving me scratches all over my legs. But it was all worth it. Fun-filled Sunday at full steam ahead.